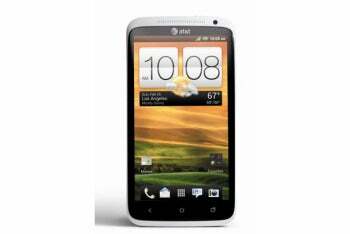 AT&T's HTC One X Flashy Smartphone: Quad-Core Everywhere But the U.S.
HTC's One X will be the company's first smartphone with a quad-core processor, but it won't be at full power in the United States, where it'll be choked back to dual-core to accommodate AT&T's 4G LTE network. As SlashGear reports, the American version of the HTC One X will use a Qualcomm S4 dual-core processor, instead of the quad-core Nvidia Tegra 3. Nvidia's processor won't be compatible with LTE radio chipsets for at least a few months and ,with the One X due to launch stateside within 60 days, AT&T wants a version of the phone that supports 4G LTE. Trading processing power for data speed might seem reasonable, except that AT&T's 4G LTE network is only available in 23 cities. Unless you live in a major metropolitan area, the extra speed won't do you any good. Besides, 4G LTE is a known battery killer, so even if you live in an LTE city, you'll have to use those faster speeds sparingly. For AT&T, the trade-off is all about marketing. Verizon's been advertising its 4G LTE network since the middle of last year, while AT&T is just starting to put together its own LTE lineup. It looks bad for AT&T, which used to pride itself on having the nation's fastest network. So in a rush to prop up 4G LTE, AT&T is compromising a phone. And it's not the first time. With Nokia's first Windows Phones, AT&T is opting to carry the larger Lumia 900, with its 4.3-inch display, instead of the Lumia 800 that launched overseas last year. You may assume bigger is better, but having handled both phones, I think the Lumia 800, with its 3.7-inch display, feels better in the hand and looks sleeker than its big sibling. But again, because the Lumia 800 doesn't support 4G LTE, it's not getting any play in the United States. Of course, you can argue that quad-core phones aren't all they're cracked up to be, since most applications aren't optimized for the extra processing power. But Nvidia has done a lot of its own work with app developers to create quad-core games. Tegra 3 also has a smaller fifth core, which kicks in for low-power tasks to conserve battery life. In the United States, HTC One X owners will miss out on both those things just so they can access an incomplete, battery-gobbling 4G LTE network. That's a shame.